This was a particularly complicated yet hugely successful story. Completed in summer 2015, this was an extremely unusual and diverse business for which we had to a) find a buyer, and b) walk them through the business purchase process from inception to completion. The business was a freehold opportunity, which consisted of several multiple and diverse elements – Hair Salon, separate Beauty Salon, Swim School with large swimming pool, and a 3 bedroom residential rental property. As I am sure you will agree, this is a varied and highly unusual mix of businesses! Using our extensive (32+ years combined) experience and expertise, we succeeded in matching the business with perfectly suitable buyers; a married couple, with the wife a qualified Beauty Therapist and the husband a qualified swimming instructor. This was, of course, a perfect solution for vendors and purchasers alike. With two previous successful business purchases under their belt, both concluded via our office – a Coffee Shop/Sandwich Bar and a Beauty Salon – we located the perfect purchasers using our extensive database. Following extensive negotiations and finally agreeing on the sale, Business Partnership guided all parties through a great many obstacles, including arranging finance via a High Street lender, arranging separate vendor finance, dealing with existing tenants and leases, and liaising with five separate solicitors representing five separate parties. The entire process was extremely complex, and was skillfully managed by us over a two year period, with successful completion achieved against all odds – much to the delight of all parties involved! It is important to consider that the business sale process is multi-layered and can often be extremely complex, as in the example detailed above. Sourcing a purchaser for any business can in itself be very difficult; however, this is only the beginning of the process. Subsequently guiding both vendor and purchaser through to successful completion can often prove to be equally – and sometimes significantly more – demanding. 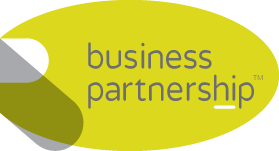 It is vitally important, therefore, that business owners wishing to dispose of their asset in South Yorkshire and the North Midlands choose an agent with the extensive experience and outstanding track record of Greg & Beverley Towers at Business Partnership, Sheffield. Working with his wife Beverley, Greg is the longest standing member of Business Partnership team and helps to facilitate the sale and purchase of any and every type of business. He operates in Sheffield, Rotherham, Barnsley, Doncaster, Chesterfield, Mansfield, Worksop, and the Derbyshire Peak District.